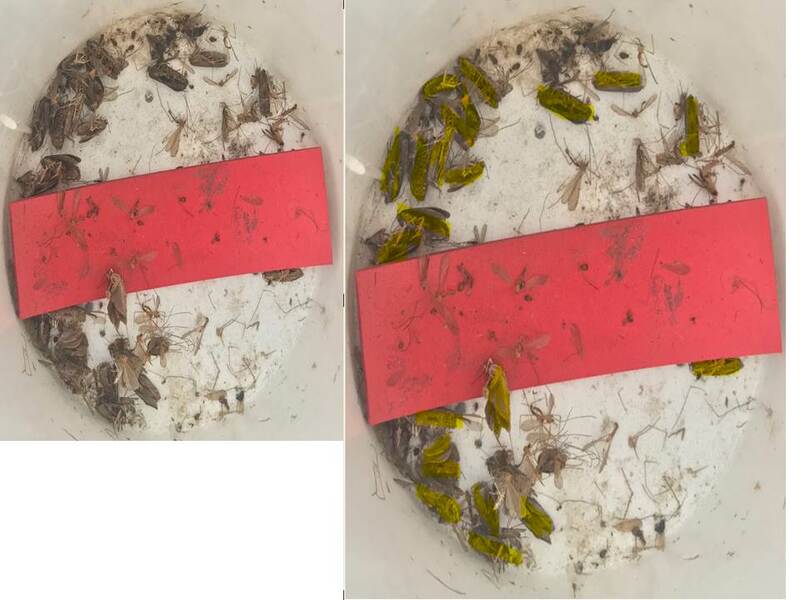 Adult spruce budworms (moths) are highlighted in yellow from trap catches collected in October 2017. 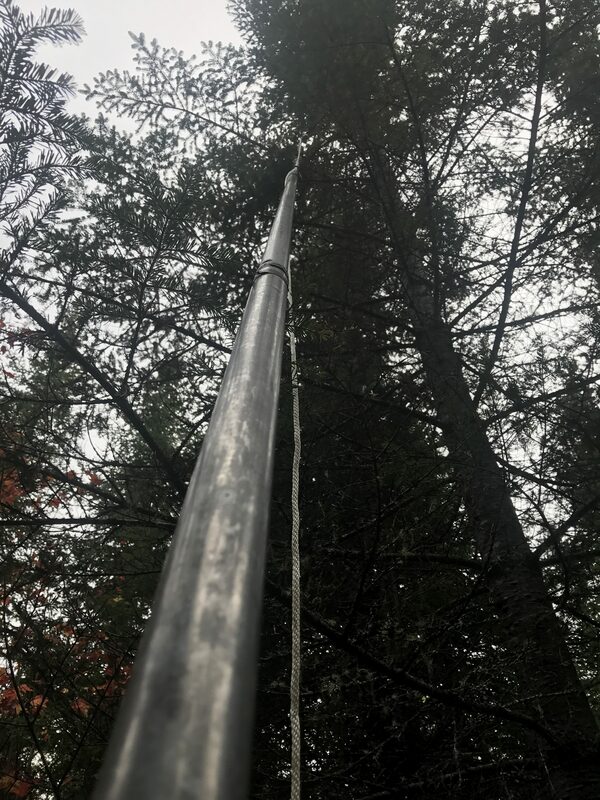 This month professional foresters around the state are working with USFS and CFRU research scientists to retrieve spruce budworm traps that were hung in designated areas in the north Maine woods over the summer. The trap catches will be analyzed to assess spruce budworm populations in the state. And yes, there are some SBW moths in those traps (see photo). Using a pruning pole to collect branches for L2 analysis.